Wedderspoon puts New Zealand superfood on the map in U.S.
At Wedderspoon Manuka Honey, it’s all about taking manuka honey seriously through bee stewardship, valuable partnerships, consumer transparency, and innovative products and packaging. Sore throats. All have dealt with them, and in specific ways—maybe reaching for a throat lozenge or perhaps gargling with warm salt water, as dear grandmothers would often suggest. But, when a family member of the founders of Wedderspoon Manuka Honey gets a sore throat, only manuka honey fills the bill. About 14 years ago, Sebastian and Catherine Martin noticed a need in the marketplace. Raised in England, Catherine was just used to having manuka honey in her life. However, when Catherine’s mom, Diane, came to Canada for a visit and got a sore throat, manuka honey wasn’t to be found on local retail shelves. A lengthy family dialogue arose. Realizing manuka honey had successfully been in European and Asian markets years prior, the Martins set out on a quest to bring manuka honey to Canada and the United States. With supportive partners in place and a stable manuka honey supply chain intact, the company started small, diligently knocking on the doors of small, locally owned health food stores and attending tradeshows to introduce manuka honey to the market and educate consumers. About a year after conception, the company hired a family friend, Fiona Nelson, and, utilizing her sales skills, the three of them officially launched Wedderspoon Manuka Honey. 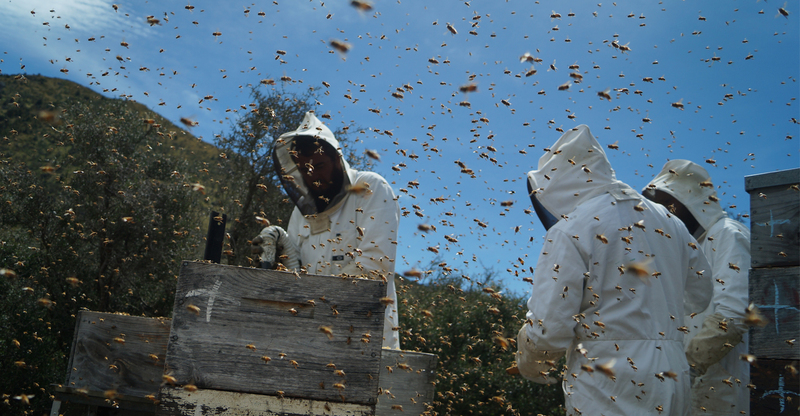 Since then, the company has expanded and grown with dedication to ethical and sustainable honey production, support of bee conservation and continued transparency with consumers. New Zealand takes honey seriously, as does Wedderspoon. “New Zealand does a great job with biosecurity at its borders,” Remley explained, “because it’s a small country, but they also export a lot of goods.” Considering bees and honey, the country “doesn’t allow things to creep around,” she continued. “If New Zealand officials find an insect that will infest, they burn them immediately. For example, AFB [American foulbrood, a bacterial disease caused by Paenibacillus larvae] can kill bees.” The conscious-minded efforts of New Zealand officials mean less colony collapse. The brand’s KFactor™ methodology goes above and beyond New Zealand’s Ministry for Primary Industries new standard for manuka honey, and comprises five “key factors” which focus on the holistic qualities of authentic manuka honey. The key factors of KFactor manuka honey guarantee the honey is raw and unpasteurized, has traceability from hive to home, is Non-GMO Project Verified, is produced and packaged in New Zealand, and is free of antibiotics, glyphosate and pesticides. The new MPI regulatory definition focuses on defining two levels of Manuka honey: Multifloral Manuka Honey (a honey blend that has a variety of plant sources, but has a significant amount from the Manuka plant), and Monofloral Manuka Honey (honey that is “wholly or mostly” from the manuka plant). Wedderspoon KFactor™ 12 is a Multifloral Honey, while KFactor™ 16 is a Monofloral Manuka Honey. Wedderspoon has partnered with the David Suzuki Foundation, a Canadian nonprofit working to conserve and protect the natural environment and promote sustainability, and with the American nonprofit the Rodale Institute. The company also supports the Honeybee Conservancy at Rodale by sponsoring a beehive. All these actions demonstrate New Zealand’s and Wedderspoon’s stewardship to the honeybee, as well as to consumers, by providing manuka honey products based on ethics, standards and regulations considerate of all involved. There are also some new products on the horizon designed to make manuka honey more available to consumers. Wedderspoon’s Manuka Honey Plus Shots with added probiotics and other healthful ingredients aim to support mental clarity, vitality and energy, and boost the immune system when used as a daily snack. Other new products include new Manuka Honey Squeeze Bottles for KFactor™ 16 and KFactor™ 12, Apple Cider Vinegar with Manuka Honey (infused with KFactor 16 Manuka Honey and Beechwood Honey), as well as a new skincare line with Manuka Honey infused products for face, hands and body. Complementing product innovation is packaging, and while BPA- and PVC- free, recyclable-after-use packaging has been used to date, Wedderspoon is innovating with new and less packaging, as well as products that make manuka honey more convenient and accessible. “We wanted easier-to-use packaging that was also more convenient for the whole family, so we just launched no-squeeze packaging that allows users the ability to use everything in the jar,” Remely pointed out. Manuka honey is a natural prebiotic with naturally occurring, live enzymes, but more research is needed to isolate all properties of manuka and how it’s beneficial to the body, according to Remely. Wedderspoon is currently involved in such research projects, with plans to help fund them. Esca Bona Supplier Heroes is a recurring feature of suppliers that fuel innovation in the good food supply chain. Esca Bona is an event and brand spearheaded by New Hope Network that champions the good food movement by helping finished product brands improve their supply chain, support the people who create food, and best harness technology and innovation. This piece originally appeared on Natural Products Insider, a New Hope Network sister website. Visit the site for more news and insights on supplements and regulatory issues.